Tonight, we will gather at our dining room table one last time to light our menorah. This year, we have been using a Maccabee Air menorah. 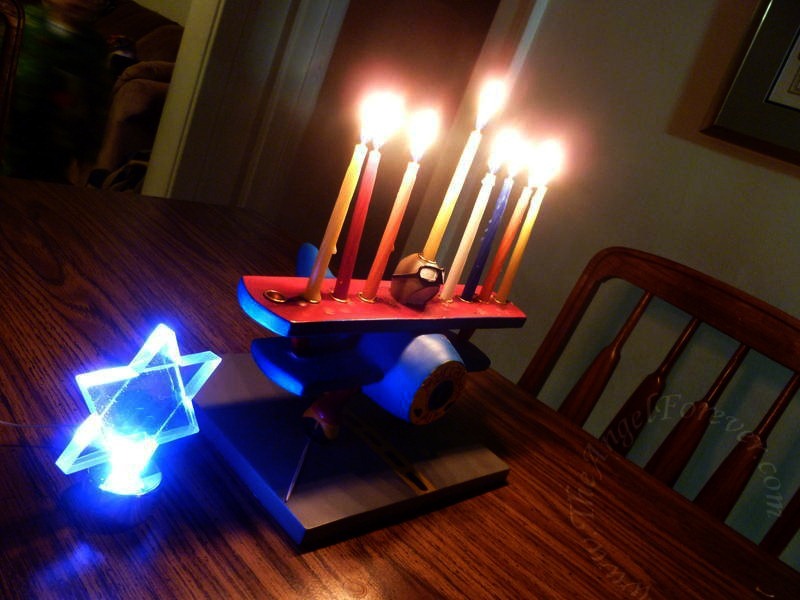 In addition to this, we bought an LED Magen David to add a little extra something to our celebration. The first few evenings, the boys actually pulled up their little chairs to watch the candles flicker and burn down. While watching, I would play Chanukah music on a special Spotify station that I made with tunes that we enjoy for the Festival of Lights. There were also evenings that I shared some fun holiday music videos with the boys. Another new one was really fun and I thought I would share. So please excuse me while I spend the day playing games and having fun with the boys while they are home from school this week.